About Dr. William Dikel, Minnesota Forensic Psychiatrist - William Dikel, M.D. Dr. William Dikel is a board-certified child, adolescent and adult psychiatrist who provides a wide variety of psychiatric consultation services. He is based in Minneapolis, Minnesota, and provides consultation statewide and nationally. Dr. Dikel provides psychiatric consultation services to school districts, attorneys, social service agencies, corrections programs, insurance companies, private businesses, and medical and mental health systems. His school consultation includes creating mental health plans for school districts, consultation about individual students, maximizing available funding streams, providing cost-effective services, co-locating mental health diagnostic and treatment services into school districts, providing in-service presentations and assisting in data gathering and outcome analysis. 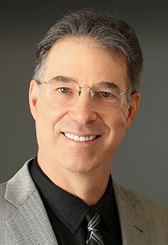 His experience as a forensic psychiatrist includes personal injury, workman’s compensation, disability and other insurance claims, effects of workplace violence and psychological trauma, workplace harassment, competency assessments, defamation lawsuits, insanity defense, employee psychiatric risk assessment, malpractice issues, standards of care, institutional negligence, neurological damage, child custody and employee assistance programs. He provides tailored in-service presentations to agencies and organizations on topics pertinent to the mental health disorders experienced by their clients.